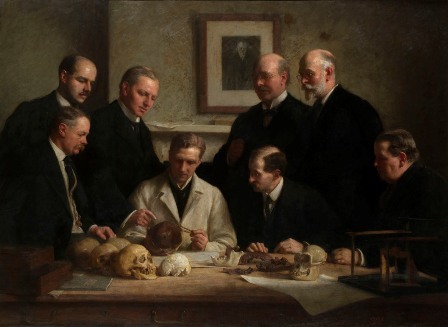 Join us for another fascinating Lunchtime Lecture, as UCL's Professor Dean explores the connection between the Piltdown Hoax and the Hunterian Museum. In 1912, amateur archaeologist Charles Dawson boldly claimed to have discovered the fossil remains of the earliest humans in England. The skull and jawbone that he presented to the Geological Society of London contradicted our understanding of human evolution and caused a stir in the scientific community for decades until it was finally exposed as a hoax in 1953. Join us on the 75th anniversary of the day that Hunterian Museum conservator Sir Arthur Keith unveiled a memorial celebrating ‘the scene of Dawson’s discovery’ and discover how the museum’s collections featured prominently in the debates that followed. Lectures last approximately 45 mins plus time for questions.